Kevin Sullivan, the commissioner of revenue services since Gov. Dannel P Malloy took office in January 2011, will step down for a private-sector job on May 10, the day after the General Assembly adjourns its regular session for 2018. The departure of Sullivan is something of a milestone for the administration as it begins to wind down. Malloy, who did not seek re-election to a third term, leaves office in January. Malloy has retained a number of key appointees who joined him in the first months of his tenure: his top budget adviser, Ben Barnes; Joette Katz, the commissioner of children and families; Catherine Smith, commissioner of economic development; James P. Redeker, the transportation commissioner; and Roderick Bremby, commissioner of social services. Melody Currey joined the administration as commissioner of motor vehicles, then moved to administrative services after Malloy’s re-election in 2014. Sullivan, 68, of West Hartford is a former state Senate leader who succeeded M. Jodi Rell as lieutenant governor after the resignation of John G. Rowland as governor in 2004 thrust Rell into the governor’s office. He is joining Verus Analytics, a data company that is trying to expand its offerings to tax agencies. It currently does no work in Connecticut. 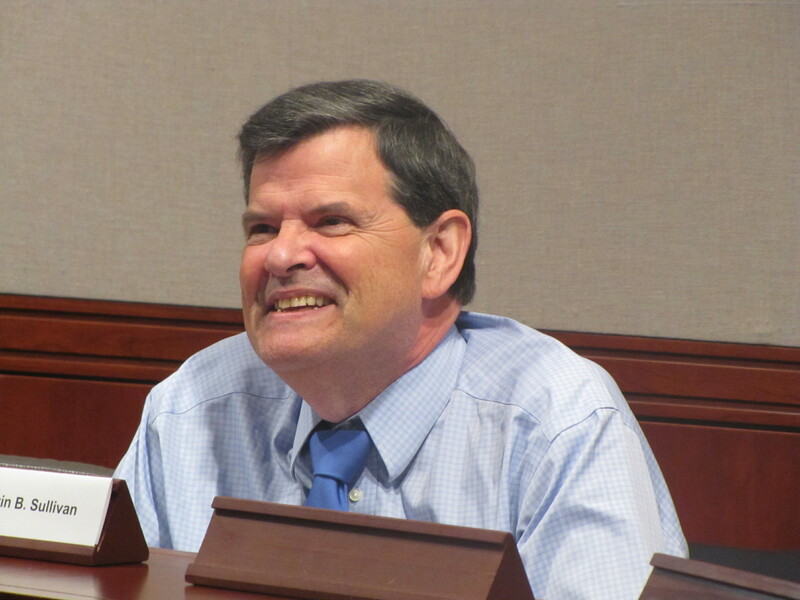 “Kevin has years of experience in public service in Connecticut, which has provided him with an exceptional knowledge of the inner workings of state government. Over the last seven years, he has been able to utilize that experience and implement a number of efficiencies and improvements to make DRS even more responsive to the people of our state,” Malloy said. Malloy named Joe Mooney, the deputy at DRS, as acting commissioner. The timing of Sullivan’s departure is deliberate: He still is trying to win legislative support for bonding to upgrade the computer system at the Department of Revenue Services.